- Photos: Michelle at the 29th International Moscow Film Festival, June 29th, in Moscow, Russia. - Sunshine: new extended trailer. - The Mummy 3: information on filming in China's Hengdian World Studios, and some photos of the filming location. - Sunshine: DVD information, a Danny Boyle interview, and U.S. promotion. - Babylon A.D.: the Behind Scenes Featurette/Teaser officially online. Q: You are just coming from the Babylon AD shooting? MICHELLE: The film has just wrapped up in Prague. It's been my longest filming so far: five months. Mathieu Kassovitz impressed me by his energy. Q: Can you tell us about your character? MICHELLE: I'm not supposed to say too much. I am the Yin, and Melanie Thierry, the Yang. Mathieu wanted me to do action. Have to say that I performed lots of stunts. More than Vin Diesel. But I made sure not to have my hair messed up. Aren't I a L'Oreal ambassador! (laughs). Q: Do you have any driving scenes? MICHELLE: Although I'm with someone who is related to professional driving, I'm a danger at wheel. I only know how to control a bicycle. Q: You were one of the jury members in 2002. What advice would you give to the jury? MICHELLE: Stay concentrated, refuse party invitations as much as you can. And prepare arguments to defend the films you would like to be awarded. (writer/director), and Geoffroy Grison (producer). May 26, Cannes. - Two more new sections in Event Photos: CineAsia 1999 and 2004 MTV Asia Awards. - New Sunshine picture in the slideshow on the front page. 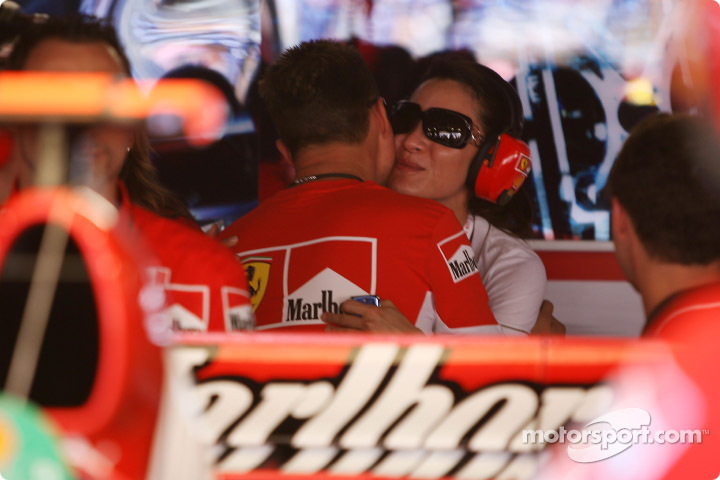 - On Sunday the 24th, Michelle attended Ferrari's 60th anniversary celebration at the headquarters Fiorano test track in Maranello, central Italy. More than 1000 Ferraris have descended on Maranello from around the world, including some of the rarest and most valuable road cars. - The Children of Huang Shi: a few more set photos. - Sunshine: three film stills. - The Mummy 3: cast information. 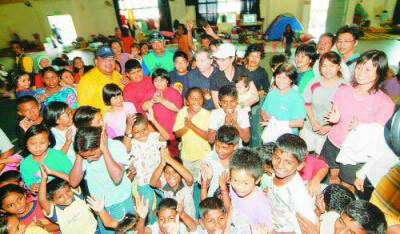 - Malaysia's The Star reported that Michelle was recently in Malaysia and attended a banquet. She can be seen in the last photo. - Sunshine: more production videos. - Several new sections have been added in Gallery -> Event Photos, including some photos from the 1999 Berlin Film Festival for which Michelle was a member of the jury. - Hi everyone, yep, it's that time again! We are having our annual Birthday Special for the sixth consecutive year! I can't think of a better idea for a gift to Michelle for her birthday ;->. So let's continue our "tradition" - I'm sure one can never have too much of love and support. Let Michelle hear you! Please enter your message by August 2 and please use English only. All messages received by that time will be forwarded to Michelle by her birthday (August 6). Thank you all! - Sunshine: new production video. - The Children of Huang Shi updates: a press conference in Shanghai; some set photos; and an one-minute "Making of..." video (a glance of Michelle at the beginning). - This is another set of photos of Michelle taken during the Cannes Film Festival in May. - Sunshine: a new Michelle image, and information on theatrical trailer. * How do you reconcile the facts of being a film action herione and beauty icon? * For you, what are the highlights of this 60th Festival of Cannes? * Can you tell us a little bit about Babylon A.D., which you just finished filming with Matthieu Kassovitz? - New poster of Sunshine. Oh I overlooked the name "Sunshine" on the official preliminary line-up for the upcoming Comic-Con International at San Diego. - The Children of Huang Shi updates with more Gansu set photos. 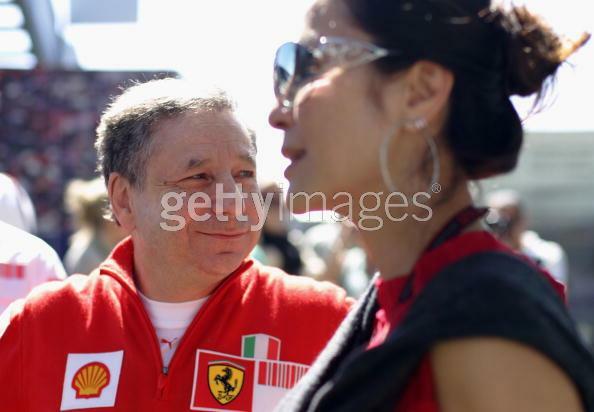 - Photos: Michelle at the Canadian F1 Grand Prix in Montreal, Sunday June 10. - Updates on Sunshine, Far North, and Babylon A.D.. Asked her opinions on director Wong Kar Wai, Michelle said he is talented from every aspect, and she would love to have an opportunity to work with him. "But I wouldn't like to spend five years on one project," said Michelle jokingly. 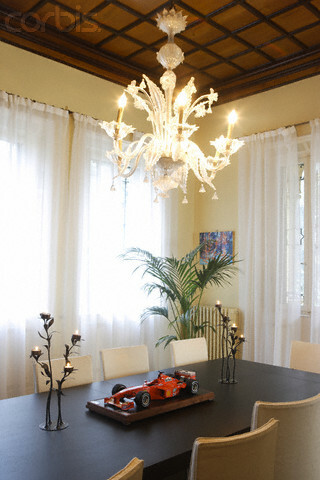 - This set of photos was taken in January, 2007, at their love birds nest - I mean, uh, at their Italian home - in Maranello, Italy. Some of the photos are featured in the magazine mentioned above. - Far North: Full transcript and scans of Asif Kapadia's TIFF "True North" presentation on January 19 (thanks Dean for the help with the transcript). - The Children of Huang Shi: new still images (no Michelle). - Babylon A.D. is in the line-up for the upcoming Comic-Con International at San Diego. 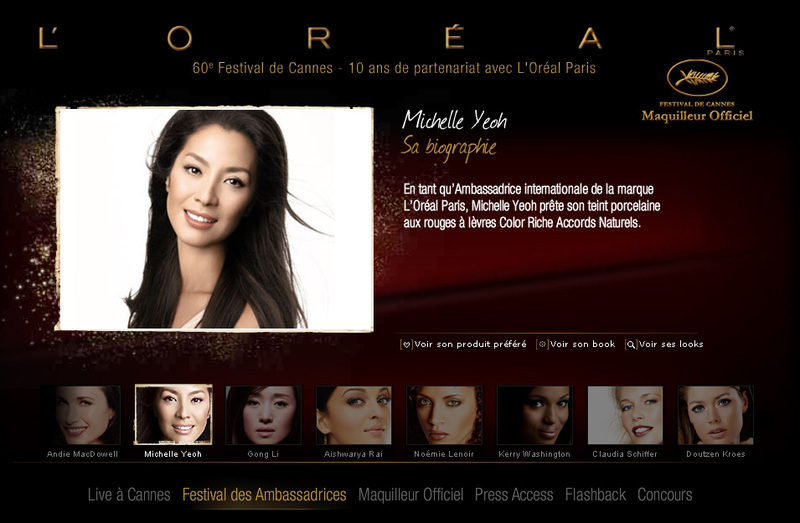 - Michelle is featured as one of "Festival des Ambassadrices" at L'Oreal Paris's 60 Festival de Cannes special. Click on "Festival des Ambassadrices" and then Michelle's photo. - Babylon A.D. updates: production information, title picture, and sub-sections (w/title picture). 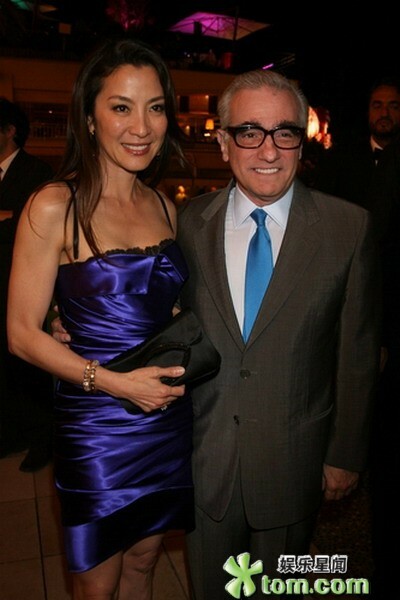 - Far North related: Irrfan goes on a dream date with Michelle Yeoh. Irrfan Khan is the main star in Kapadia's The Warrior. He was in fact attached to True North (Far North) at some points in early 2006. "Good evening ladies and gentlemen. I worked with Chinese, British, American, Canadian, French directors; but directing is not only about techniques and cameras, it's someone's unique vision. Directing is being able to share your dreams with the crew. Directing is being able to explain the role to actors. Directing is saying something one way and doing it another way the next. Directing is listening to your soul and touching the audience's hearts as the wonderful directors did this year." - May 27th: Michelle attended the closing ceremony of the 60th Cannes Film Festival. She was invited as an award presenter. 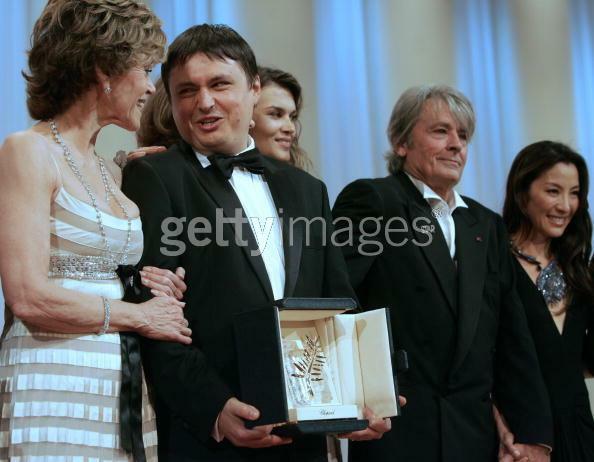 Diane Kruger and Jane Fonda, director Cristian Mungiu with the Palme d'Or prize for his film "4 Luni, 3 Saptamini si 2 Zile"
- Cannes official video: Steps Death Proof (May 22). Michelle appears at the very beginning of the clip. (1)(2) Michelle at the Saturday practice, May 26; (3)(4)(5) Pre-race, May 27. - The Children of Huang Shi updates with some set photos (no Michelle). - Babylon A.D. video!!! In addition to those events we have seen from the news photos, our busy Michelle also attended other activities in Cannes - including promoting the upcoming film. The video included teasers from the film and a Michelle interview. Looks exciting! 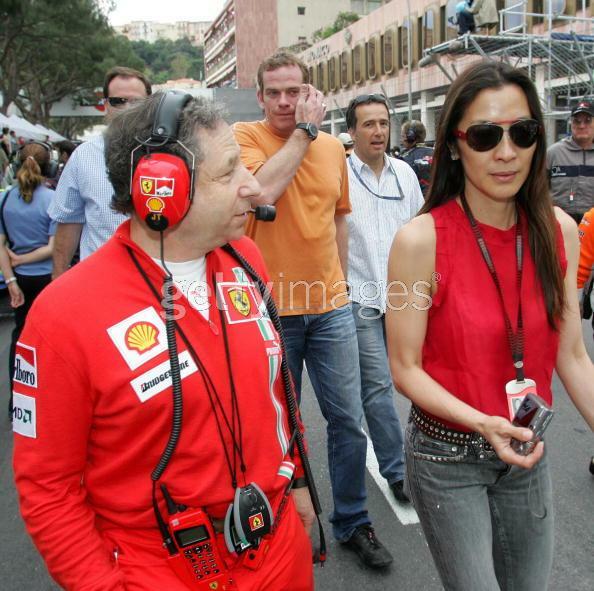 - Photos: Michelle at the practice sessions of the Monaco Formula One Grand Prix, Monte Carlo. May 24. - Sunshine is coming to the U.S. cinema on the 20th of July - wide release! - The Mummy 3 updates. - Michelle accepted media interviews at the hotel she is staying (Hotel Martinez) in Cannes on the 22nd (see yesterday's photos). Seeing the beautiful/graceful Michelle on the Cannes red carpet, reporters commented that it's hard to connect Michelle the real person with the action heroine on the screen. Michelle laughed and said that a person can have many different sides, and she really enjoys her action roles. During the past few years Michelle starred in a sequence of non-action films. Although in Babylon A.D. and her next project, The Mummy 3, she will have action scenes, Michelle said to Chinese reporters that Hollywood action films have too many restrictions and they do not satisfy her craving for action. She wishes to have a chance to work with Chinese (action) directors again and make more Chinese language action films. Michelle will be leaving Cannes on the 24th. - May 23rd: Michelle attended amfAR (American Foundation for Aids Research)'s Cinema Against AIDS charity dinner and auction at Le Moulin de Mougins in Mougins, southern France. The annual benefit soiree on the sidelines of the Cannes Film Festival raised a total of US$7 million for the AIDS Research. The Chopard diamond, pearl and sapphire necklace, worn by Michelle (shown in the auction photos), went for a cool half mill. - The Mummy 3: more casting information. - May 22nd: Michelle attending the premiere of Quentin Tarantino's Death Proof. - May 21st: the World Cinema Foundation party. 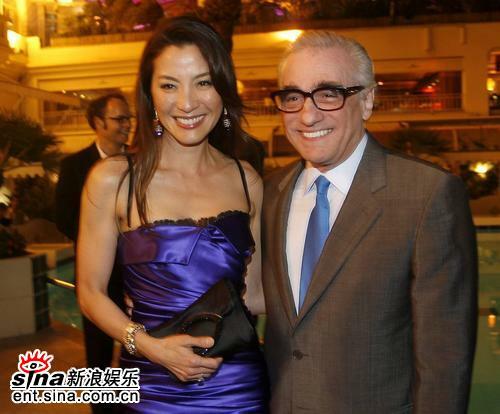 Photos at right: Michelle with director Martin Scorsese. - May 21st: Michelle attending a gala screening of British director Michael Winterbottom's film A Mighty Heart. - May 21st: Michelle at the Fortissimo Films Party, Majestic Beach, Cannes. - May 20th: Michelle attending the Cannes Film Festival 60th Anniversary Dinner hosted by Chopard at La Roseraie. 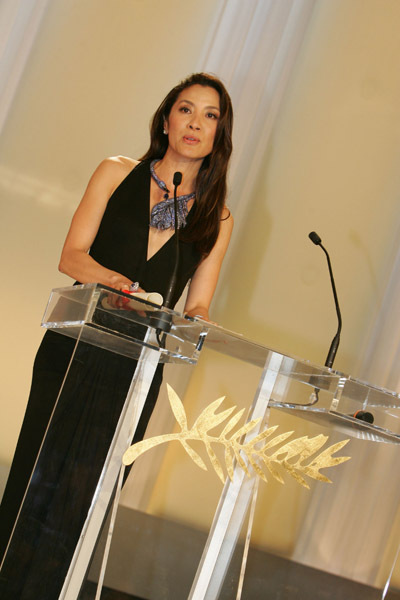 - From the 60th International Cannes Film Festival (May 16 - 27): Sunday, May 20th. The Cannes Film Festival celebrated its 60th anniversary with the screening of the film "Chacun Son Cinema" ("To Each His Own Cinema"), which is a series of short films commissioned by the festival and shot by some 35 renowned directors. Here is a Video Clip (1:01, in Mandarin Chinese) of the red carpet. Michelle, Andie MacDowell and Gong Li, three beauty ambassadors of L'Oreal, an official partner and sponsor of the Cannes Festival, arrived together for the screening (00:12-00:15), followed by Maggie Cheung (on the jury of the festival this year) and Zhang Ziyi. Five of the 35 directors are Chinese: Zhang Yimou (Mainland China), Chen Kaige (Mainland China), Tsai Ming-Liang (Taiwan), Hou Hiaso-hsien (Taiwan), and Wong Kar-Wai (Hong Kong). 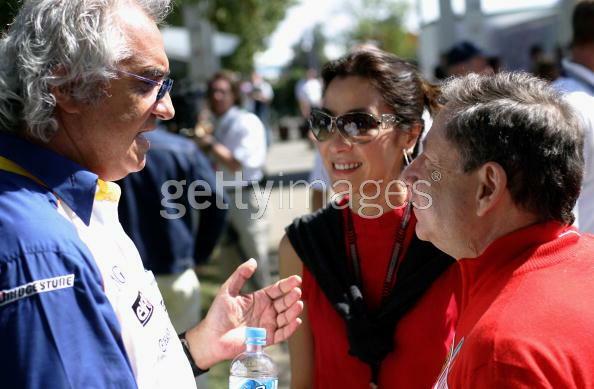 - Photos: Michelle and Mr. Jean Todt attending the semi-finals Race 5 at the Louis Vuitton Cup, Valencia, Spain, May 19. The Louis Vuitton Cup is one of the most famous and prestigious competitions in the sport of yachting. - Babylon A.D.: filming completed. - Far North: a set photo (with both Michelles). - Michelle is featured as one of the 60 stars on "Madame Figaro"'s Cannes special (cover). The French magazine photographed 60 celebrities with designer Karl Lagerfeld for celebrating the 60th anniversary of the Cannes Film Festival. Michelle was the first person among the 60 stars to do the photoshoot (in March). - More cast information for The Mummy 3. - Far North: set photos (one with Michelle) and information on the book(s). - Babylon A.D.: a picture of Michelle with parkour traceur Thomas Couetdic. - More movie stills from Far North. - The Children of Huang Shi: a synopsis. 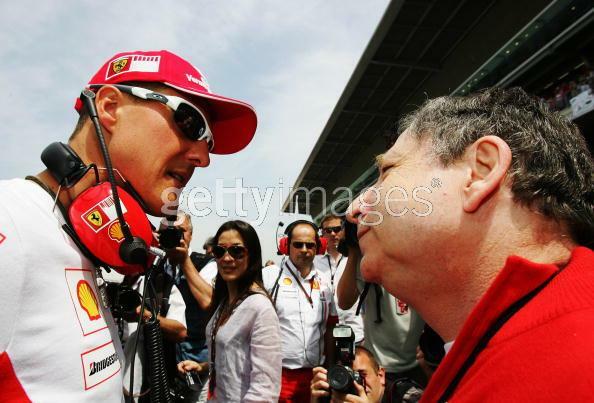 - Photos from the Spanish Grand Prix, Barcelona, Spain, May 13th. - The Mummy 3 updates: more information on filming and casting. - Sunshine will be screened on July 1st in L.A.! It is chosen as the closing film for the 2007 "Los Angeles Film Festival". - New movie section has been created with latest reports: The Mummy: Curse of the Dragon. - Here at YouTube you can see two music video made by Lori, on Crouching Tiger, Hidden Dragon and Wing Chun. - Official film stills from Babylon A.D.! More photos see Babylon A.D. section. - Babylon A.D.: more information on set building. - Two Sunshine video clips: actors talking about director Danny Boyle and an early pre-production animation. 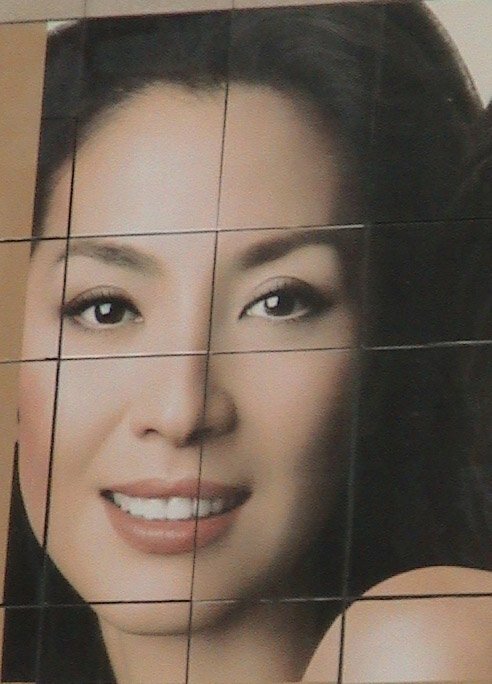 - "Variety" reported that Michelle and Jet Li will star in The Mummy 3. Entitled The Mummy: Curse of the Dragon, the Universal Pictures' film will be directed by Rob Cohen. Brendan Fraser returns to this third installment of the Mummy series as Rick O'Connell, and 26-year-old Australian actor Luke Ford will play his son, Alex O'Connell. They journey "into the forbidden tombs of China and into the Himalayas, where they run into a new shape-shifting mummy, a former Chinese emperor who was cursed by a female wizard." According to "Variety", Michelle will play the wizard and Jet Li will be the Mummy. It is also known that one sequence involves the famous Terracotta warriors. The script was written by Miles Millar and Alfred Gough; Sean Daniel, Jim Jacks, Stephen Sommers and Bob Ducsay are producing. Shooting begins in Montreal on July 27, and then will move to China. The film is scheduled for release on July 11, 2008. The first two "Mummy" films grossed $841 million worldwide and spawned spinoff "The Scorpion King." - The Children of Huang Shi: reports and photos from the filming in Shanghai in February. - Babylon A.D.: reports and photos from Sweden filming. - As part of the annual "Most Beautiful People" list for 2007, the People magazine also published a list of Beauties at Every Age and Michelle is on the photo special. - Far North: more photos from Svalbard and Filmcamp filming. - Sunshine: more Corazon costumes on auction. - Sunshine: two crew photos, box office report and more Corazon items on auction - more costumes, Corazon's notes and books, and an electric scooter Corazon rode on. - Babylon A.D. updates: an accident on set (not Michelle), cast/crew problem, and a bit about Michelle. - Sunshine: Corazon's jacket and polo shirt on auction. - Babylon A.D.: photos of some set models. - Babylon A.D.: production updates and a photo of the submarine. - Photos: Michelle at the 2007 SIHH Expo, April 17th, Geneva. - Michelle is on the star list who's to appear on the 17th at the 2007 SIHH Expo (Salon International de la Haute Horlogerie exhibition, i.e., Salon International Luxury Watch Exhibition) in Geneva. Michelle is a global spokesperson for Audemars Piguet (AP) and she has attended the SIHH for the past two years. - Sunshine: some photos of advertisement on the streets of Brunei. - Sunshine: script available at Amazon U.K..
- Babylon A.D.: filming is at Riksgransen ski resort in north Sweden. News bit: last month, Michelle did a photo shoot with designer Karl Lagerfeld for the 60th anniversary of Cannes Film Festival in which 60 actors were chosen. - Sunshine: more Corazon items on auction, and more updates. - Babylon A.D.: filming snow scenes in Sweden. 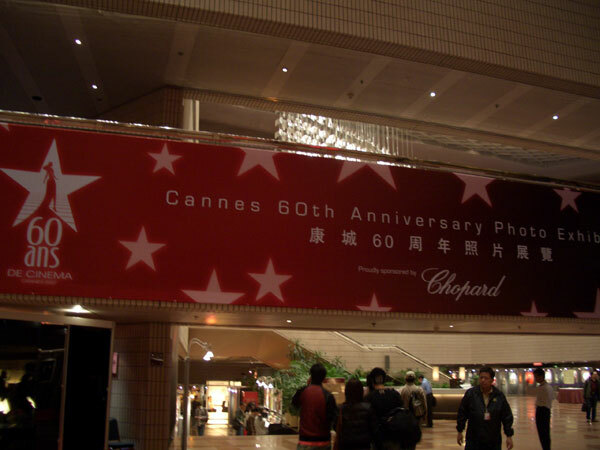 - Xiaoyi sent us these photos from Hong Kong which she took at the Hong Kong Culture Center where it's hosting the Cannes 60th Anniversary Photo Exhibition. She also sent in scans of a booklet of Sunshine. Thanks Xiaoyi! - Sunshine: ID cards for all Icarus II crew members. The Earth Room is open. - Far North: some information on the composer and soundtrack recording. - Michelle talks about Sunshine to Malaysian media - she answered some questions on the role selection and other things. See Sunshine for detailed report. The phone interview was arranged by Fox when Michelle was in Hong Kong last month. 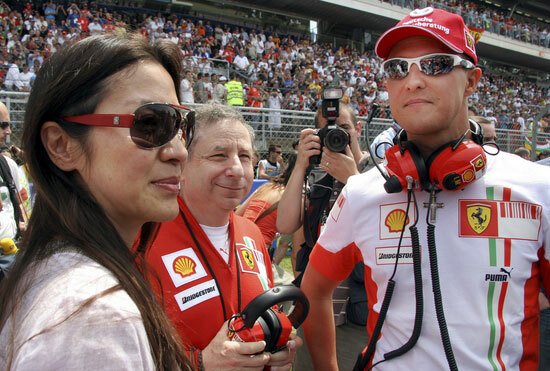 Seems no Malaysian reporters spotted Michelle on the F1 race last weekend. 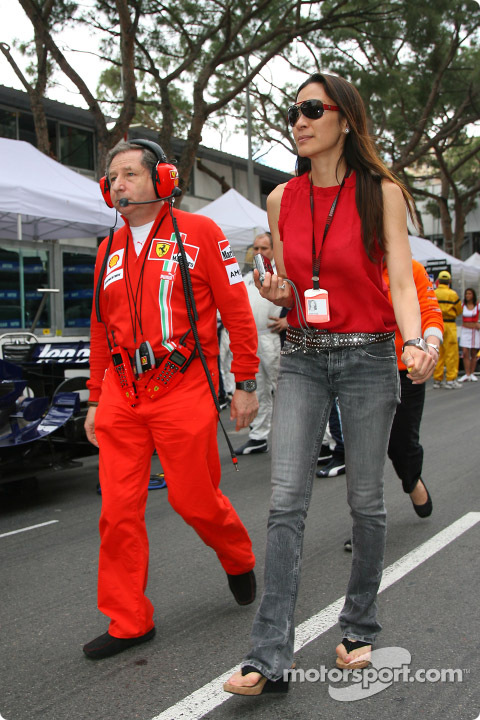 I wonder if the official Formula 1 website was mistaken on saying Michelle was actually there. - Michelle is going to attend the Cannes Film Festival in May. She will likely be a honored guest at the opening/closing ceremony, in addition to other events including a sequence of beauty ambassador activities, according to Taiwan's "UDN". 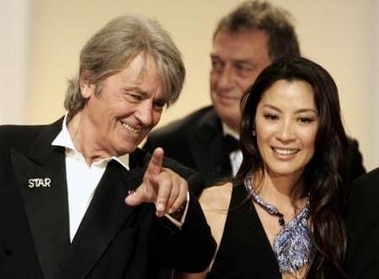 Two other Chinese star actresses, Maggie Cheung and Gong Li, have also accepted Cannes invitations. The 60th Cannes Film Festival will take place between May 16 - 27. The announcement of the official selection is scheduled for April 19. 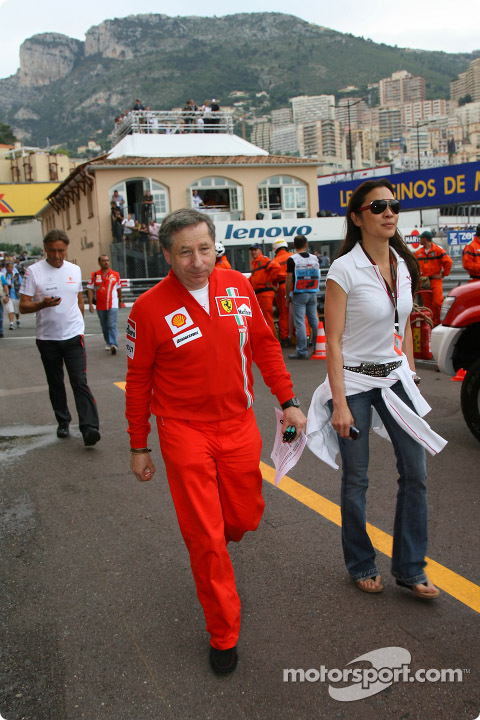 - Not sure if Michelle really made it to the F1 gala dinner on the 6th. Malaysian "China Press" reported that Michelle's mother was among the special guests on the charity gala. 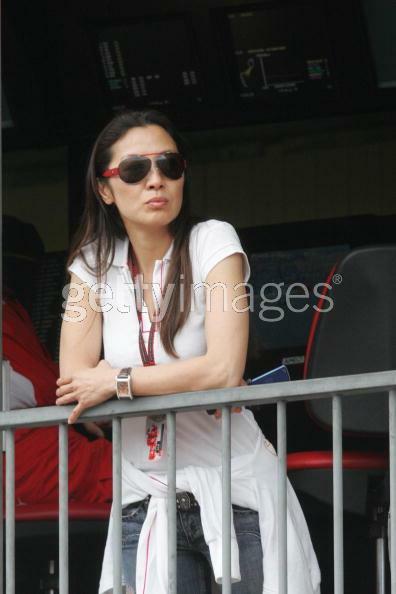 On April 8 Formula 1 reported Michelle was seen in the Kuala Lumpur paddock during the F1 race. 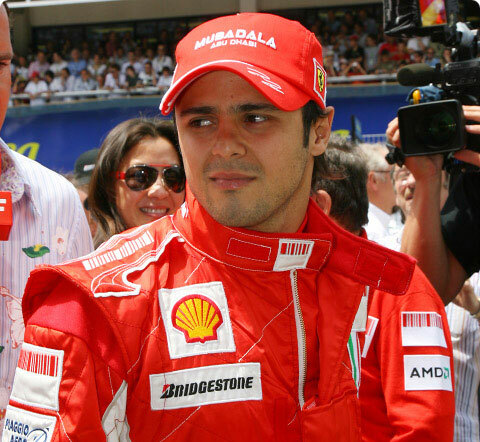 - According to Malaysian "The Star", Michelle is scheduled to attend the F1 gala dinner, the Petronas Malaysian Grand Prix Fantasy Gala 2007, Kuala Lumpur, in the evening of April 6th. - In Sunshine: two more photos, film props auction including direct links for Corazon's two auction items. - Babylon A.D. updated with some images. - Updates on Far North, originally named True North. The film is expected to be presented at the Cannes festival or its concurrent market next month. Also more photos and a video clip from Svalbard set. - Sunshine: another film clip (and spoiler). - Sunshine: Corazon's official MySpace, new film clips, and more! - New in Sunshine: Corazon photoshoots. Exploring Oxygen Garden. Japanese press conference and a Japanese poster. - The Children of Huang Shi: a report with set photos. - New in Sunshine: photos, film clip and an article/interview. - On the 28th, Michelle accepted a phone interview in Prague with Taiwanese reporters. She talked about Sunshine and Babylon A.D.. Please see related sections for details. - Sunshine: character backstories and more posters. - More photos from the Asian Film Awards, published on the official HKIFF site. In the 3rd photo the actress next to Michelle is Maggie Q. - In the survey taken at this year's Hong Kong FILMART (Hong Kong International Film & TV Market, March 20 - April 11), Michelle was once again voted as one of Hong Kong's top five "Most Desirable Actresses", by more than 330 buyers and exhibitors. The other four actresses are Maggie Cheung, Carina Lau, Charlene Choi and Malaysia-born Angelica Lee. The top five "Most Desirable Actors" are Jackie Chan, Chow Yun-Fat, Andy Lau, Tony Leung Chiu Wai and Jet Li. - On March 21, Michelle attended the Hong Kong premiere of Luc Besson's Arthur et les Minimoys. Luc Besson told press that he hopes he will have chance to work with Michelle in future. Later when reporters asked Michelle when she is going to make a film with Besson, she said they talked about a plan for an action film and it's still at the script-writing stage. Reportedly Michelle is going to fly to London for film voice dubbing before going to Prague to continue Babylon A.D..
- Sunshine: cast interview video - Hiroyuki Sanada. Video Clip: Michelle with Hirokazu Koreeda at backstage of the ceremony. Watch at Sina or 56.com (00:49, may need to use IE to watch). - An old video clip from Hong Kong TBS. It features a short interview with Michelle during last year's Cannes. In Cantonese with Chinese subtitles. (WindowsMedia, 01:44, 3.8MB). Thanks Joanne! - True North: behind-the-scene photos. - Sunshine: a new on set photo (with Michelle). 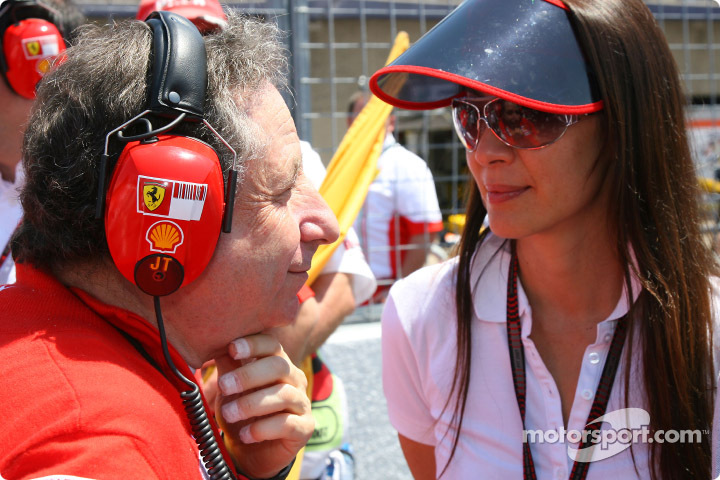 - Photos: Michelle at the Australian Formula One Grand Prix in Melbourne, Australia, March 17 - 18. - Hong Kong media reported that Michelle is scheduled to attend the Asia Film Awards ceremony on Tuesday, March 20th, in Hong Kong. - Sunshine: new video clips. - Sunshine: more information of the film and HQ Michelle photos. - Babylon A.D. updates: filming continues in the Czech Republic but it's not trouble-free. - Sunshine: Michelle talks about the film; download link to the video interview; and more. - Sunshine: video interview with Michelle (thanks Melody), Malaysian release and more photos. - The Children of Huang Shi: a set photo. - Chinese media reported that Michelle may not star in The Mummy 3 (previously reported on Feb. 16) due to schedule and other issues. - Sunshine: four more porsters and the release dates for Hong Kong and Taiwan. - Pierce Brosnan, the four-time 007 (including Tomorrow Never Dies), told media when he appeared at a fashion show in Shanghai last week that the most unforgettable Bond girl for him was Michelle. He said: "Michelle holds an important position in my heart. We still have contact sometimes." Yesterday's Toronto Sun ranked Michelle as the No. 2 Bond girl. - Michelle is listed as one of the 23 World-Class Beauties by MSN (thanks Rod & Dania of UVDFC and John). - Sunshine: special preview screening in London. - Sunshine: video interviews with Cliff Curtis, Benedict Wong, and Troy Garity. - True North: official images and synopsis. - Sunshine: information on the Irish premiere. - Sunshine: new U.K. trailer, new photo of Corazon, article and photos from "Empire" magazine, and advance Australian screenings. - True North: a crew member talking about filming experience in Norway and some production photos. - The Angels Star Collection, which is believed to be the UK's largest auction of film and television costumes, will be sold at Bonhams in Knightsbridge, London on Tuesday March 6 2007. Two sets of the costumes that Michelle's Wai Lin wore in Tomorrow Never Dies are up for bid: a brown leather cat-suit with belt and boots and a full outfit of wine coloured jacket, cream blouse and shoes. 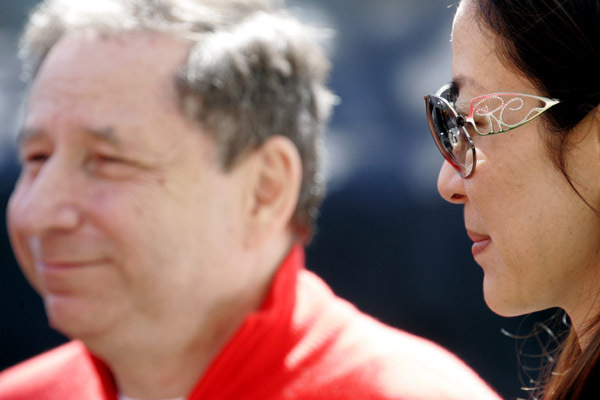 - Sunshine updates: Danny Boyle talks about Michelle. And the U.S. release date. - An official image of Babylon A.D. (no Michelle). - Two more photos for True North. - The Children of Huang Shi wrapped. - Sunshine: ask director Danny Boyle a question. - Sunshine: a video clip from the film! And some e-mail addresses to the Fox folks. - Photos: Michelle attending the Milan Fashion Week, Milan, Italy, February 22. - I can't believe it - Sunshine's U.S. release is pushed back to FALL 2007?!! - Sunshine updates: some posters and the Japanese release date. - Babylon A.D.: photos of some props. - More on Babylon A.D..
- Michelle in The Mummy 3? There have been rumors that Jet Li will play a villain in the film. 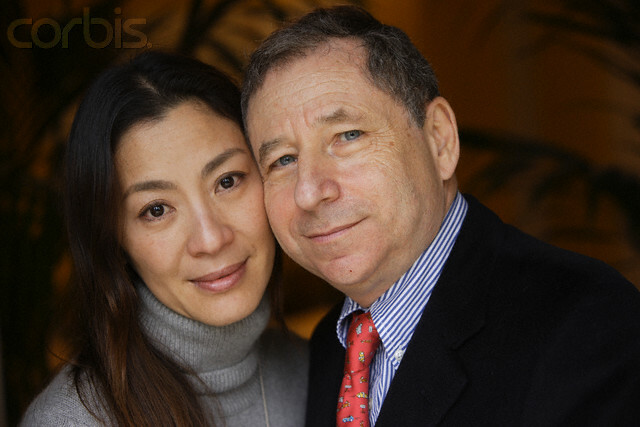 Today IGN said reportedly director Rob Cohen said the film will take place in China and Michelle will star in it. Jet Li will play the head Mummy in a group of Mummies that were the Teracotta army. The Mummy 3 (a.k.a. Mummy: Curse of the Dragon) is being targeted for a 2008 summer release by Universal Pictures and currently under casting. [updated] "IGN" added a line in the report stating Michelle has not signed up for the film. - The Children of Huang Shi updates: filming ended in Shanghai. Also information on international distribution. - Sunshine release dates for Malaysia and Taiwan. - The Children of Huang Shi updates: filming information, an interesting article on the original draft, and some new video links. - Sunshine: the scheduled screening on the 23rd at the Dublin International Film Festival is canceled. Also a possible release in Mainland China. - HQ images for Sunshine and more on the U.S. release date. - Sunshine updates including release information. - Sunshine: two new photos. - Taiwanese news agency "UDN" reported that Michelle is going to team up with Yuen Wo-Ping (director and action director of Wing Chun and Tai Chi Master, and action director of Crouching Tiger, Hidden Dragon) again! The report says Michelle has already accepted Yuen Wo-Ping's invitation to star in a Chinese language martial arts film, in which she will lead a group of young monks to defeat some evil force. Pre-production is said to start after Chinese New Year and filming starts in May in China. - Babylon A.D. updates including release date information. - Sunshine: Q & A with the costume designer Suttirat A. Larlarb. - The Children of Huang Shi updates. - Babylon A.D.: More photos (w/Michelle) from the Ostrava-Poruba filming. - Sunshine: another set of cast photos. 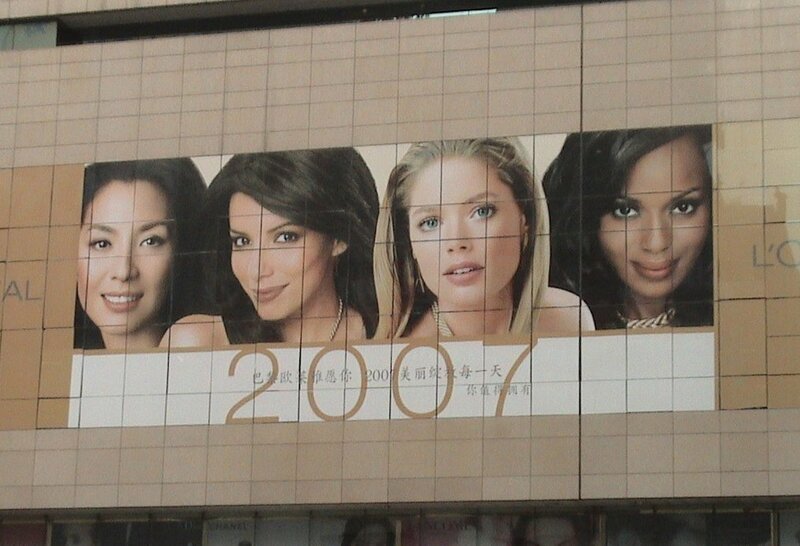 - These photos of a giant poster of Michelle were taken by "A bird" in the New City Cinema of Chengdu, Sichun Province, China. The latest James Bond film, Casino Royale, is currently showing in China. She also took a short video showing a few posters of Bond girls in the cinema, including Michelle's. Casino Royale is the first Bond film that has ever got a theatrical release in Mainland China. One would think with Michelle portraying the wonderful Wai Lin, the Chinese character whom all Chinese people should be proud of, Tomorrow Never Dies should get a theatrical release in China. But the film was actually banned in Mainland China. I heard that the reason for the ban is that the Chinese communist authority is "allergic" to the saying that Chinese government uses spies. - Sunshine updates: new fun features on the official website and more information. The film will be screened at the Dublin Film Festival later this month. 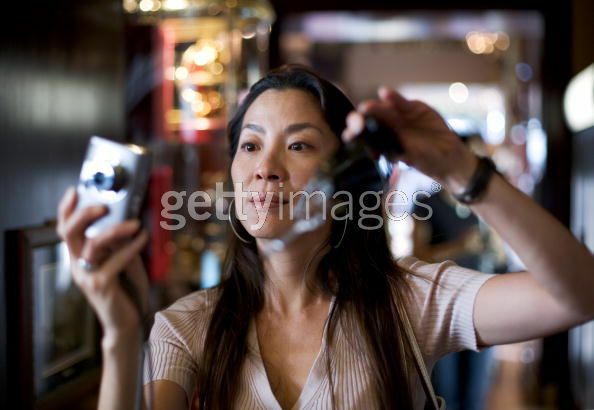 - Back on Sept. 30, 2006, we reported about a potential Hollywood/Chinese co-production entitled "Qi Pao" (Cheongsam), which was under development. A Chinese producer said Chow Yun-Fat, Michelle, and Gong Li are wanted by the production companies as the main actors. The story is about a cheongsam maker and three women in his life. Yesterday "Yunnan Daily" published a recent interview with Sun Na, 23, the Chinese winner of the 2004 Top Model of the World Pageants. Miss Sun said in the interview that she has been invited to portray one of the three women in the film. 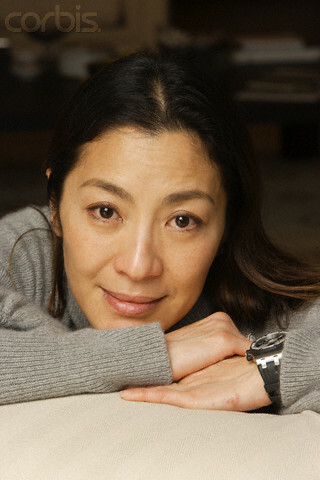 "I couldn't believe I would have a chance to work with Chow Yun-Fat, Gong Li, and Michelle Yeoh!" 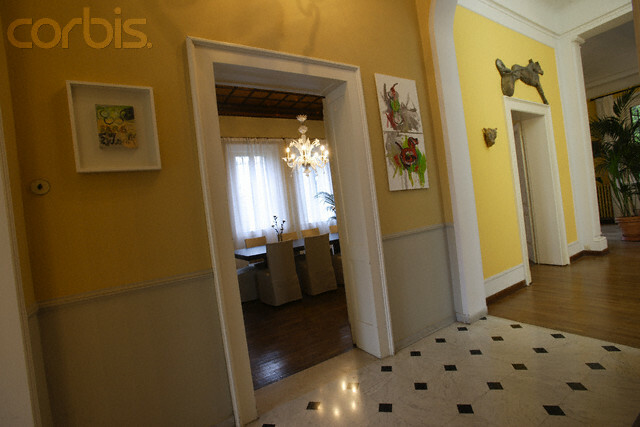 - New photos from Sunshine! - High Definition trailer of Sunshine is available. - More photos from the filming of True North and Babylon A.D..
- True North: information on the film editor and composer. - A press conference of The Children of Huang Shi was held in Hengdian yesterday. There is a link to a video clip which showed some scenes from the film but I did not see any Michelle scenes. - True North: set photos from FilmCamp. - Sunshine: U.K. trailer is also available online. Donwloadable links for the trailers. - Babylon A.D.: another video clip from the Ostrava-Poruba filming, with a bit of Michelle. - Babylon A.D.: another video clip from the Ostrava-Poruba filming. - Babylon A.D.: some photos and a video clip from Ostrava-Poruba filming. - Children of Huang Shi updates and some set photos. - Sunshine: MPAA rating and U.S. release date. - True North: officially released film stills! - Sunshine: trailer being played in U.K. cinemas. - Babylon A.D.: filming information. - True North: a new set photo, with Michelle and Gary Pillai. - Children of Huang Shi: more photos. - True North: some behind the scenes photos from FilmCamp in Malselv. - True North: a photo of Michelle with little Narissara at FilmCamp in Malselv. - Babylon A.D.: some filming information. Malaysia's southern Johor state is the worst affected area by the recent flood crisis. 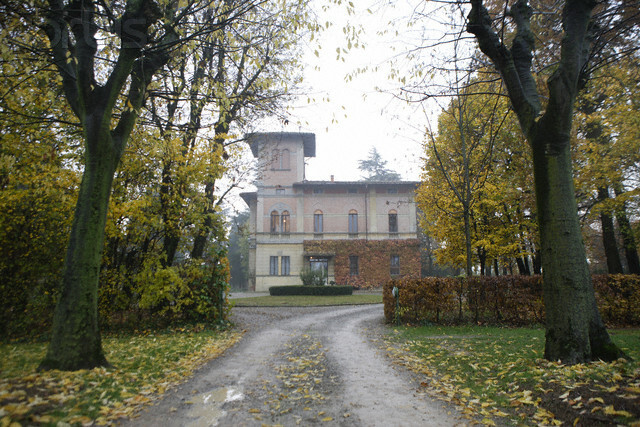 Tens of thousands people were evacuated. At least 14 people were reported dead, while thousands still remain at relief centres. "I wanted to see the victims for myself and help in whichever way I could," said Michelle. She said she would fly to the Czech Republic on the evening of the 30th for the filming of Babylon A.D.. She promised after the shooting finishes in April she would come to visit Johor again. 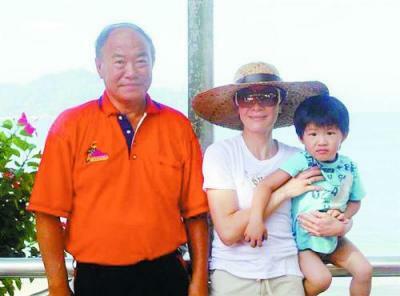 - On December 23-24, Michelle was on a beach resort holiday with family members on Pangkor Laut Island in Malaysia. 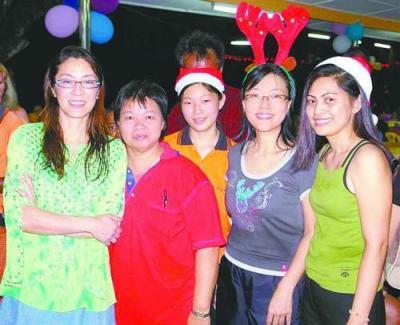 On Christmas eve, Michelle and her family had dinner at the Sea Villa Hotel. Even though she was in regular clothes, Michelle was recognized by other people right away. Nearly 300 people who were celebrating Christmas at the hotel were all "captured" by Michelle, by her star power and her "girl-next-door" smile. Many of them came to ask her if they could take a photo with her and they were all satisfied, reported "Sinchew".